After a natural disaster, cyber attack, or EMP, the power grid will likely be down. Depending on the extent of the damage, the grid could be down for days, weeks, or even months. You won't be able to use the microwave or stove, and the natural gas will likely stop flowing as well. 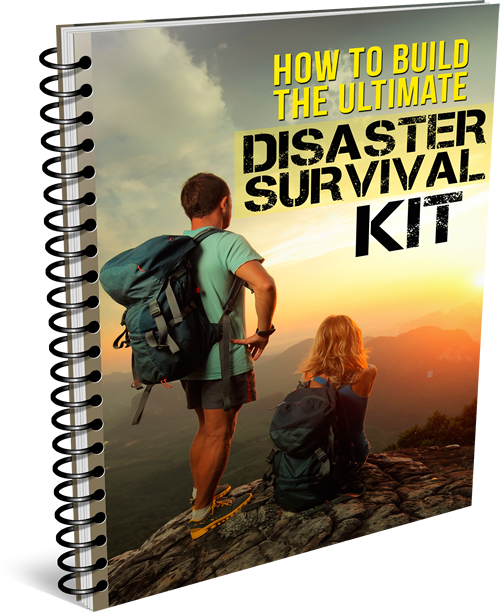 You will need to know how to do some off-grid cooking! Homemade parabolic solar cooker crafted from an old satellite dish and cd's. Don't panic though! You are not without hope. With a little planning and preparation you should be in good shape. Here are 6 ways you can cook without power should the grid go down. Undoubtedly, this is the best off-grid cooking solution. Solar ovens are like a modern day crockpot; they rely on the sun to slowly cook the food inside. There are many different solar oven designs out there, but the most common is simply an insulated box with reflectors attached to the lid to direct as much heat into the box as possible. The solar oven tops this list because it can be used to both boil water and cook food without any fuel other than the sun! This means you don't have to stockpile fuel for cooking or boiling water which saves you money and storage space. Another great benefit is that no smoke is produced when cooking with a solar oven. Smoke can be detected from hundreds of yards away and, depending on the severity of the crisis, you probably don't want hordes of people to know you are cooking up a savory meal for your family. Another popular off-grid cooking solution is the camp stove. A camp stove is just like cooking on a burner in your kitchen. They are small, portable, and use a variety of fuels from propane to alcohol. If you choose one that uses a fuel you need to purchase such as propane, you will need to stock up on fuel, which leads me to my favorite camp stove option, Solo Stove. 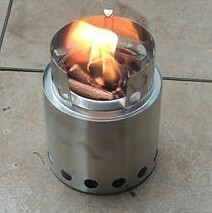 Solo Stove uses whatever you can find as its fuel, such as sticks, leaves, bark, dead weeds, etc. With Solo Stove you have an endless supply of fuel, saving you money and storage space. Solo Stove currently comes in 3 sizes: lite, titan, and campfire. There is also a version that comes with a cooking pot that fits neatly on the top, although any pot or skillet can be used. 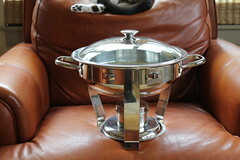 A chafing dish is something that holds chafing fuel while it burns. It is generally used with fondue or keeping dishes hot in covered pans or pots at large events. Chafing fuel can be burned indoors (which is a big plus for this option) but it also doesn't put give off as much heat as most other options. It will work for heating soup, cooking survival meals such as Mountain House meals, and most chafing fuels can boil small amounts of water (2 cups or so) given enough time. This option is good for covering a few days or maybe a couple weeks if you have enough fuel. 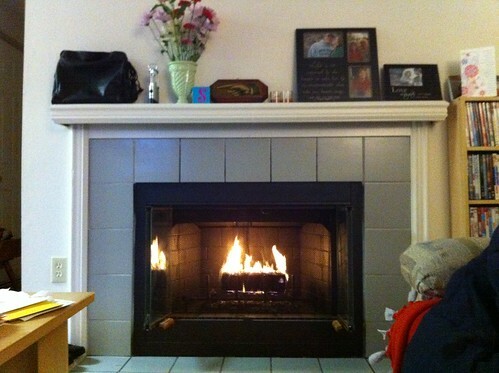 If you have a fireplace in your house, you can build a fire inside it to cook your meals. This serves a dual purpose and heats the home at the same time. If the grid is down in the middle of winter, this is a better option for you than the outdoor fire pit. A more efficient option would be to use Solo Stove in your fireplace. This would conserve your fuel. Your backyard grill can be used as well. As one of the least efficient off-grid cooking techniques, you will definitely need to have a couple backup tanks if you expect it to last very long. Unfortunately, it is not an efficient solution of doing things like heating soups and boiling water, but if you've got enough propane it should be able to get you through at least a few weeks. 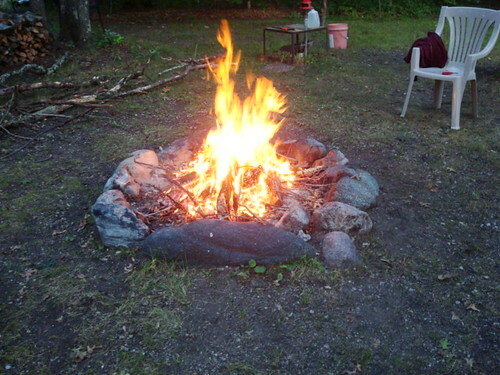 Building a fire in the backyard is another way to heat water and your food. It's not the ideal off-grid cooking solution, but it works. The downside is that you will burn through quite a bit of fuel and create a whole lot of smoke. You will need a large stock pile if you plan on using this method for any length of time . Constructing a fire pit is fairly easy. You will just need to dig a hole about 6 inches to a foot deep and surround the area with rocks. A wire rack placed over the pit will serve as a surface to set your pots, pans and cans on. A couple wire rack options are the wire rack from your home's oven and the cover of an air conditioner unit. You can also use metal or scrap steel to make a tripod over the pit to hang a pot or can above the fire. Another option is to fashion a spit to cook large pieces of meat. ​In a serious crisis you need to be capable of doing some off-grid cooking. It is critical to maintain your health, and the impact of a warm meal on moral is advantageous as well. Think over what method works best for you and make sure you have a plan in place!